Are you possibly facing a domestic violence charge? Perhaps you are searching for what happened if I’m arrested for a domestic violence charge. In this blog post, brought to you by Starr Law. We are going to highlight what will happen to you if you are arrested for those charges. After you are released from prison, you will be given a court date. It will be within a week or two of your arrest date. Don’t worry. Nothing will happen that day and no witness will be there. The judge will simply give you a court date to appear. After that, you will then be assigned a judge and it will be a judge that hears mostly domestic violence cases. From there, a trial date will be set within the month. During the trial date, there are four possible outcomes that could happen. First, should no witnesses show up, the case may be dismissed for failure to prosecute the case. Second, a plea bargain could be reached in the case. Third, you may have a bench trial, but the ADA must agree to this. Finally, you can have a preliminary hearing. The bottom line is, one can’t predict what is going to happen due to all the different variables. 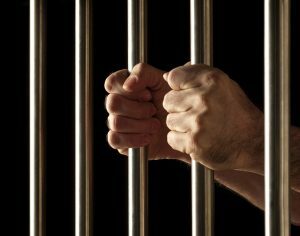 When you are facing these types of charges it is important that you have proper legal representation. If you do not have legal representation you will possibly face a more serious outcome that will not be in your favor. Overall, you want an attorney that knows and understands what they are doing. Here at Starr Law Firm, Kent Starr has the experience and knowledge to help you. Starr received his law degree from the University of Arkansas. While in law school, he was the president of the law school and the clerk for the Supreme Court of Arkansas for Honorable Chief Justice Holt. He also was the clerk for the Honorable Justice Austin for the Supreme Court of the Navajo Nation, Window Rock, and Arizona. Lastly, he obtained a Master of Taxation from the University of Denver, Colorado, LLM. Just as he was a Golden Glove Boxer and a first-degree black belt holder, we will aggressively fight for your rights in the courtroom. Intimidation is not a factor when facing another attorney or the possibility of losing a case. Contact us today for your free consultation where we can learn more about you and your case, and you can learn more about us and our services. For more information, please contact us at 214.982.1408 or visit our visit our website here. We look forward to hearing from you and ensuring you that we are without a doubt, the best legal representation to handle your case.